Rock 'n Roll with the Rhythm Rockers at the Casa Loma Ballroom. Doors open at 7:30pm; music and dancing 8pm-12am. Admission is $10. Reserved seating available by calling 314-664-8000. 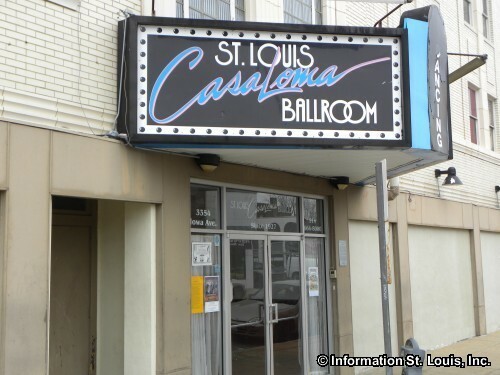 The St. Louis Casa Loma Ballroom is located in the Benton Park West Neighborhood of the City of St. Louis, Missouri and is a venue for big name entertainment acts, dancing to ballroom, swing, oldies, and salsa music, as well as a place to host wedding receptions, private parties, business meetings, and much more. Directions: Located on Iowa Avenue, just north of Cherokee Street and three blocks west of Jefferson Avenue.